A little while ago, I read this article called the $300m button. Whilst I took some of it with a pinch of salt, it made me think and change the way I advise clients on their Internet and social media behaviour. But I’ve now discovered that I am living it myself. 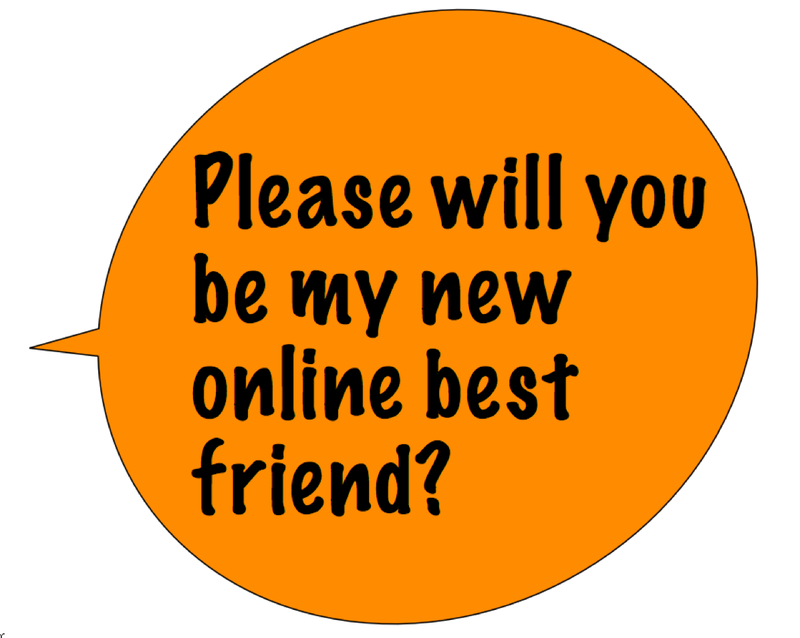 I have stopped wanting to become friends with organisations online, unless they are amongst my very few special online friends. So there is a very simple lesson for all of us involved with brands, websites and social media strategies. Stand in your own shoes and see how you behave. I probably don’t want to be your mate. if I do, I want it to build slowly and get to know you first, before I commit long term. Ooh, that sounds rather like building a normal relationship doesn’t it? So, the new lesson i’m sharing everywhere is that you mustn’t expect people to create a unique user name and password to buy, comment or login to your site. keep it simple, keep it slow and let them log in with their Facebook, Twitter or Google identity and you will make far more friends and build a far more active community. When they show they want to get to know you, that’s when you think about moving the relationship up a gear. If you have read any of my blog posts before, you may remember that I spent some of my formative years in Margate and I still rather like the place. But for many years it has been a seriously depressed and depressing place to be. I’ve suggested ways for them to improve things before and already reported that it is getting better, but I am delighted to report that after my visit this weekend the town feels really like it is well on its way to a complete recovery. 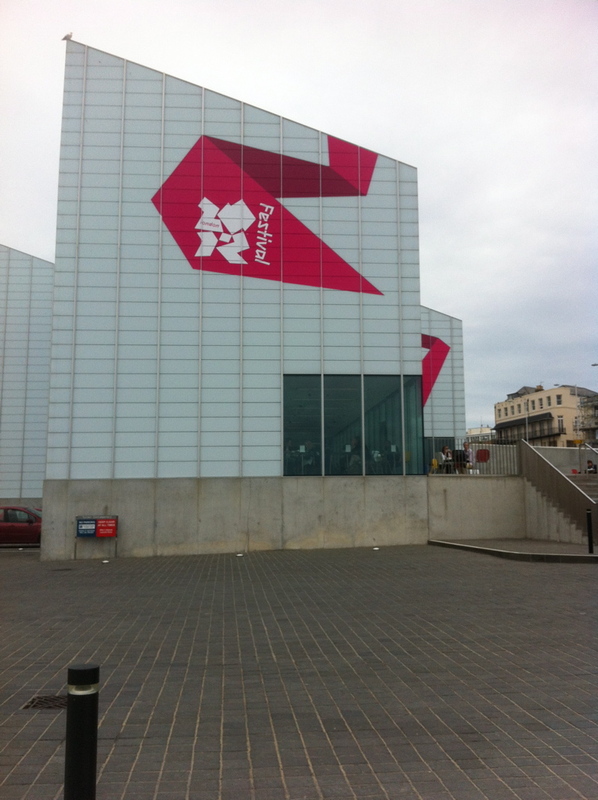 The Turner Contemporary was showing a huge Tracey Emin exhibition. Not even slightly my cup of tea and I can’t show any of the work as you’re not allowed to take photos. But it is a huge draw and there were far more people here than on the beaches. 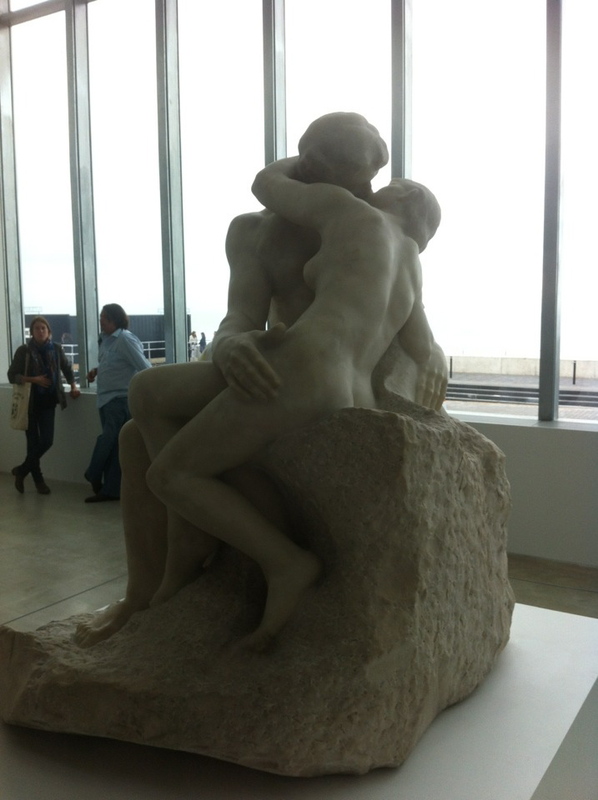 The statue by Rodin ‘The Kiss’ was far easier for a simple bloke like me to understand and whilst I did think the characters in the statue did have extraordinarily large hands and feet, it did feel like a huge privilege to see something so beautiful and obviously world class for free in (one of) my home town(s). It is made even more dramatic by the backdrop of the sea through the spectacular windows of the Turner, which completely frame the view. 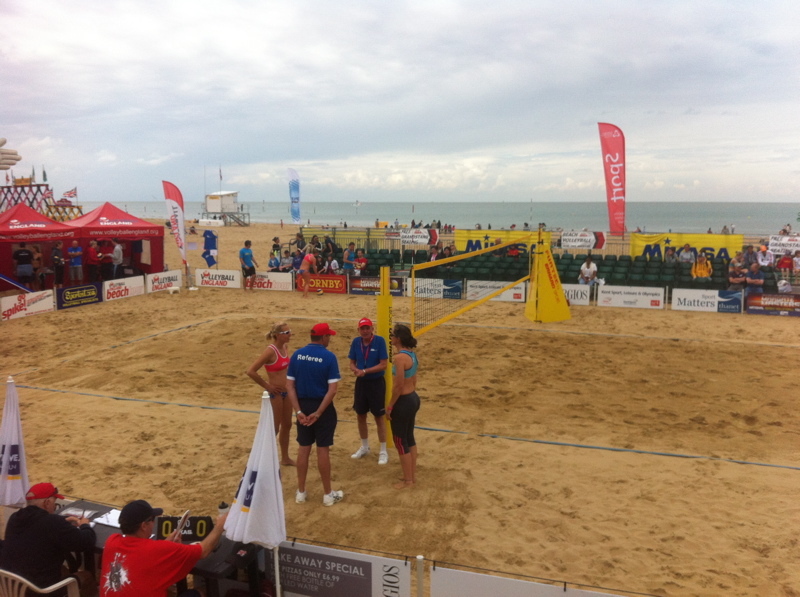 But at the same time, there was a massive UK beach volleyball championship going on further up the beach. The Margate Masters was beautifully organised across 12 courts and again free. It had quite a few people watching and cheering. from my completely limited knowledge, it looked to be played to a high standard too. But then, a new highlight and a sign of the real regeneration. 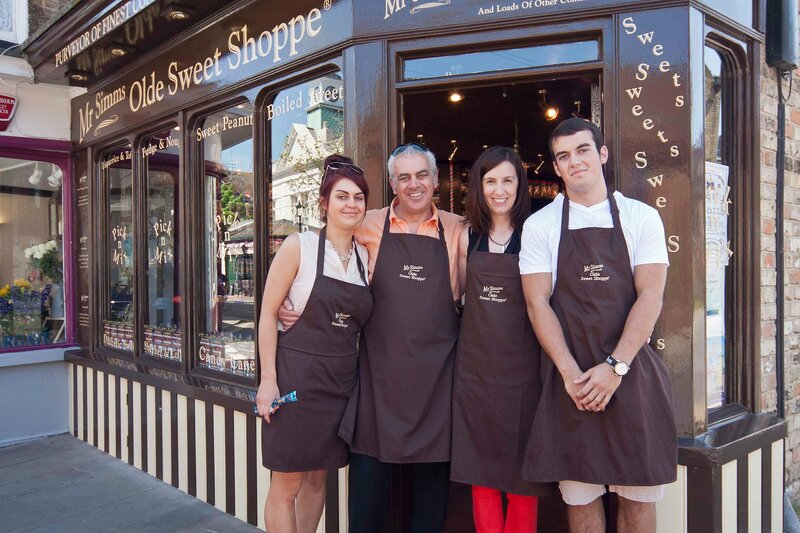 Mr Simms Olde Sweet Shoppe. What a fabulous and world class little shop. For regeneration to take place, it needs world class inward investors. The Turner started it, but little retailers like this are picking up the baton and really carrying it forward. I know it’s only a sweet shoppe, but it was beautifully designed, offered great service from knowledgable staff and had things from around the world that I have never seen in the UK, such as Vanilla Coke Zero and Peanut Butter Snickers (which I have enjoyed already). The whole town felt like it was becoming a little Brighton and the retail centre is slowly building itself back out from the Old Town. there areother new retailers throughout the Old Town and back up the High Street. I was so impressed with how far Margate has come that now i’m hoping for the rebirth of Dreamland and even more great things to come. One of the biggest areas of work for me at present is delivering a brand experience for different brands. It’s about living your values through what you do, how you do it and who you do it for. Hot Wheels is a brand to admire as they are so clear and consistent in what they do. We all had the orange track in our bedrooms as kids and made our toy cars do all sorts of impossible things. Well, now they have taken it one stage further, by bringing their brand to life. Literally.